Wesley Wales Anderson was born on 1 May 1969, in Houston, Texas USA, of Norwegian and Swedish ancestry. Wes is a film director, producer, actor and screenwriter probably best known for various hit films, including “The Royal Tenenbaums” and “The Grand Budapest Hotel”. He’s been nominated and has won multiple awards throughout his career, and all of his endeavors have helped in putting his net worth to where it is now. 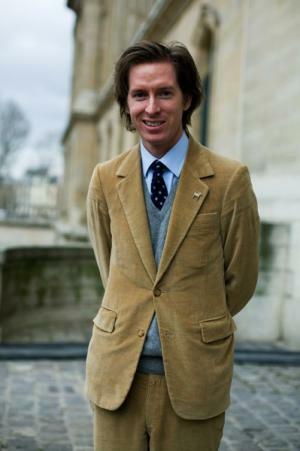 How rich is Wes Anderson? As of early-2016, sources inform us of a net worth that is at $30 million, mostly earned through a successful career in film. While mostly known for directing, he also does production work and is known for a specific style that he employs in most movies he makes. He continues to work, and this will likely increase his wealth even more. Anderson attended and matriculated from St. John’s School. While in school, he grew fond of his father’s Super 8 camera and used it to film silent movies of his friends and brothers. He wanted to be a writer, and graduated from the University of Texas at Austin, studying philosophy. His first film was entitled “Bottle Rocket” which was released in 1996, and was inspired by a short film he had made with actors Owen Wilson and Luke Wilson. While this first film was not a success at the box office, he continued his work and two years later released the film “Rushmore” which starred Bill Murray. The film was a great success and also built Murray and Anderson’s relationship, which would lead to Murray appearing in all of Wes’ future films. Anderson then worked on “The Royal Tenenbaums”, a comedy-drama and his biggest success until it was succeeded by his next film “Moonrise Kingdom”; the film earned $50 million in domestic sales alone and was nominated for an Academy Award. His next two films wouldn’t be as successful, “The Life Aquatic with Steve Zissou” in 2004 and “The Darjeeling Limited”, which was set and filmed in India, starring Adrien Brody and Owen Wilson. Anderson decided to write screenplays after these films, and helped with the film adaptation of “My Best Friend”. Wes then started exploring on other genres of film and did a stop motion animation entitled “Fantastic Mr Fox”. While the film didn’t earn much it received critical acclaim and was nominated for an Academy Award. He then worked on “The Grand Budapest Hotel”, which starred Jude Law, Ralph Fiennes and Saoirse Ronan. The movie became a worldwide hit, grossing $175 million and giving Anderson multiple awards including four wins, and his first Best Director Academy Award nomination. His latest project is “She’s Funny That Way”, as producer. Aside from his feature films, Wes is also known for several short films, including “Hotel Chevalier”, and “Castello Cavalcanti”, which starred Jason Schwartzman. For his personal life, it is known that Anderson is in a relationship with Juman Malouf, a voice actress, writer and costume designer. He currently resides in New York City, but likes to spend a lot of time in Paris. His brother Eric Chase Anderson is an artist who also contributes to Wes’ film work. 2 Shots of the characters standing still and facing toward the screen with little to no emotion. 7 The titlecards are almost always in the font Futura Bold, most commonly in yellow color. 9 At least one of his characters is usually a grown man seeking the approval of a parent or parent figure. 11 Frequently uses a take/double take technique where he will show a character/action, quickly pan to another character/action, then pan back, usually with handheld camera. 12 Likes to shoot with extremely wide-angle anamorphic lenses that exhibit considerable barrel distortion. 13 Frequently casts Owen Wilson, Luke Wilson, Jason Schwartzman, Andrew Wilson, Bill Murray, Kumar Pallana, Dipak Pallana, Brian Tenenbaum, Stephen Dignan, Bob Balaban, Tilda Swinton, Edward Norton, and Anjelica Huston. 14 Just about the entire score of all of his movies, with the exception of The Darjeeling Limited (2007) and The Grand Budapest Hotel (2014), were composed by Mark Mothersbaugh. 15 Has ended all his movies with a slow-motion shot, with the exception of The Darjeeling Limited (2007). 16 Makes obsessive and comedic use of rostrum camera insert shots, foregrounding the minutiae of books and other documents. 1 Horror is an area where if a filmmaker really wants to use all the tricks, the techniques to affect your emotions ... with the kind of movies I do, you're supposed to say 'is this part supposed to be funny, or is this part supposed to be sad?' Well, you say, 'I don't know. I'm not sure.' This is the way we wanted it. When you make a horror or a thriller, you say, 'You're supposed to be scared here. You're supposed to be relieved here. Here we're explaining something so you know the next part so you'll be more scared then.' I like the idea of the requirements and the obligations of working in a genre like that. 2 [on casting Ralph Fiennes] I knew Ralph a little over the years, and a few summers ago I was at somebody's house and Ralph was there and he was planning to direct his first movie, Coriolanus (2011) a Shakespeare film. He had commissioned the script and he had made a kind of trailer to try and raise the money, and I asked him 'How would this scene be done in the movie? Like what you have here in the trailer?' And he actually played this scene for me to me on the couch and Ralph is a powerful actor and in the sofa setting it's extremely impressive. It was when I got up from the couch that I thought I really would like to work with Ralph. I was just very excited to work with him. 3 [on his regular cinematographer Robert D. Yeoman] I loved Drugstore Cowboy (1989) which he had shot so I had asked to meet him. And also he had taken over the [second unit] shooting of To Live and Die in L.A. (1985) and I loved that movie and knew he was a part of that one too, so that was the reason why I was interested in him. He liked what we had planned to do; I could tell he was into it. Bob and I watch movies together, that's kind of our ritual, and this one we looked at Ernst Lubitsch movies: The Shop Around the Corner (1940) and Trouble in Paradise (1932) and his earlier musicals and then lots of other movies, '30s movies. We had other kinds of touchstones, things that we were probably taking things from, but that was the real core of it. 4 [on plot] Plot has never been considered my strongest [asset]. The first one we did, Bottle Rocket (1996), we sort of had to shoot the beginning after we edited it together and realized we didn't have one. With this one, one of the things that comes from Stefan Zweig is the idea of most of his stories have that form of 'somebody meets someone who will eventually tell them him or her story,' and that's what the big thing is. That's a kind of classical 19th century storytelling mode. One of the movies we did, The Royal Tenenbaums (2001), we had a narrator and I liked doing that because my natural instinct's not to have the story make any sense or follow or flow are challenged by a character who really is the storyteller and sort of forces it to be a story. It simulates a story and in this one we have devices like that too. 5 [on why he wanted to adapt Stefan Zweig's material] You know the first one I read was called "Beware of Pity" and I feel like I read the first page at the bookstore and was hooked. 20 pages into it I thought, 'I would like to adapt this book' and I really never [do that] with books I love, I don't think about making it into a movie. This one I did, and then I read lots more of his work and then eventually realized I like all of these and I'd sort of like to steal from all of them at once and make my own thing out of that. It's been a long time since I've had such an instant reaction to a writer's work in that particular way. 6 I was interested in acting when I was a teenager. And I acted in plays and things like that. But it's not something I've ever wanted to do as an adult. I always wanted to write and direct. I'm lucky enough to be able to get some of these movies made. I went down this path, and I don't see any need to diverge from it. 7 [on directing] Half the time, when somebody has an issue and is worried about something not working, they might be right, and half the time it's easier. But half the time, the thing everybody thought was going to be no sweat is impossible. And movies are always like that - at least the movies I work on. What you're doing is something you've never quite done before, and when you're doing that, nobody knows what's going to happen, and you learn in the course of time not to get too focused on what people think can't be done. Because usually you can do whatever you want. Instead, you have to encourage those people to use all their powers, because they're the experts. They have so much to bring to you, once you get them to provide it. But that's all part of managing a group. Something it just backfires, but most of the time it's fun. 8 [on themes] I think, often, what ends up being important in a movie thematically, or what it ends up being really about, is usually not what you're focusing on. You're focusing on what a certain character is going to say, what this character wants from this other character, how they feel, and how she's going to express what she wants, and what's going to happen, you know? And as with everything else in life or writing or filmmaking, you don't really control what it means - my instinct is that I don't want to control it, because it's better if it just comes to life, in whatever way that can happen. And everything else, everything feels like it has to be created for one of these movies, so I'd rather have the meanings come out of the life of it, rather than wanting to demonstrate a certain theme, or communicate a certain theory. 9 [on critics] It can be nice to read somebody just gushing. That certainly can make you feel, 'Oh, boy - I really got through to this person .' But often, even in a review where somebody's gushing, you're thinking, 'Oh, well, they think I did that on purpose,' and you know, maybe if they actually understood how that happened, they wouldn't like it as much. Plus, if you decide to really get into reading reviews, you have to know there's a possibility that you're gonna turn a corner and read a stunningly horrible review that is just gonna be a distraction for you. Really, what you want to do is get on to the next movie, and continue with whatever is next. 10 I don't know what is in store for the movie business any better than anybody else does, but it does seem like my kind of movies are a little trickier than it used to be - or maybe a lot trickier. 11 Every time you do a take on a movie, you're not sure if it's going to succeed. Even if you have a great cast, like we had, every scene you're kind of waiting for the release. 'Oh, yes; it happened. We got it!' There's always the possibility that it's just not going to work. 12 One of the things I enjoyed the most is just working as an actor. 13 I will say that Edward Norton, who plays the scout master, would be a first-rate Eagle Scout. He's got all those techniques. If your plane crashes into the jungle somewhere, he would be the guy you would want to have with you. 14 I usually set aside a lot of time in advance of a movie with important roles for kids to search, but when you have great ones, they can be a real ace in the hole. 15 Sometimes when you're editing a movie, you have the thing that you don't expect - which is you make it longer and longer as you go along. 16 When I see the first dailies on any movie, I usually feel that I had no idea how this combination of ingredients was going to mix together, what it was going to produce. 17 My experience with casting children is that... the whole movie is going to rest on their shoulders, so you have to set aside time and wait for the perfect people to appear. 18 I love working with actors. That's what the set really is, for me. It's my time with the actors. 19 Usually when I'm making a movie, what I have in mind first, for the visuals, is how we can stage the scenes to bring them more to life in the most interesting way, and then how we can make a world for the story that the audience hasn't quite been in before. 20 Kids are always open to anything. It's very rare that a kid isn't extremely eager to make you happy. 21 On Fantastic Mr. Fox (2009), I got used to working with animated storyboards as a way of planning for the shoot. We did a lot of sequences that way with this movie. Partly as a result of that, I decided to build more sets in order to do certain shots. 22 [on studying philosophy] I chose philosophy because it sounded like something I ought to be interested in. I didn't know anything about it, I didn't even know what it was talking about. What I really spent my time doing in those years was writing short stories. There were all sorts of interesting courses, but what I really wanted to do was make stories one way or another. 23 I guess when I think about it, one of the things I like to dramatise, and what is sometimes funny, is someone coming unglued. I don't consider myself someone who is making the argument that I support these choices. I just think it can be funny. 24 Paris is a place where, for me, just walking down a street that I've never been down before is like going to a movie or something. Just wandering the city is entertainment. 25 I've never had a movie that got great reviews. I've had movies that got different levels of good and bad reviews, but you can more or less count on plenty of bad reviews. 26 Anytime I make a movie, I really have absolutely no idea how it's going to go over. I've had the whole range of different kinds of reactions. 27 I have always wanted to work in the theater. I've always felt the glamour of being backstage and that excitement, but I've never actually done it - not since I was in 5th grade, really. But I've had many plays in my films. I feel like maybe theater is a part of my movie work. 28 Any romantic feelings for a 12-year-old are like entering into a fantasy world. 29 When you're 11 or 12 years old, you can get so swept up in a book that you start to believe that the fantasy is reality. I think when you have a giant crush when you're in fifth grade, it becomes your whole world. It's like being underwater; everything is different. 30 There's no story if there isn't some conflict. The memorable things are usually not how pulled together everybody is. I think everybody feels lonely and trapped sometimes. I would think it's more or less the norm. 31 I have a way of filming things and staging them and designing sets. There were times when I thought I should change my approach, but in fact, this is what I like to do. It's sort of like my handwriting as a movie director. And somewhere along the way, I think I've made the decision: I'm going to write in my own handwriting. 32 That's the kind of movie that I like to make, where there is an invented reality and the audience is going to go someplace where hopefully they've never been before. The details, that's what the world is made of. 33 I wouldn't say that I'm particularly bothered or obsessed with detail. 34 [on developing the historical backdrop of The Grand Budapest Hotel (2014)] I can't say that I have some new analysis of totalitarianism. I don't want to stay away from anything or steer away from anything or avoid anything. What we know, and the politics and meaning of all this stuff, ought to be in there. 35 I want to try not to repeat myself. But then I seem to do it continuously in my films. It's not something I make any effort to do. I just want to make films that are personal, but interesting to an audience. I feel I get criticized for style over substance, and for details that get in the way of the characters. But every decision I make is how to bring those characters forward. 1 Currently expecting his first child with partner, Juman Malouf (as of October, 2015). 2 All of his films since The Royal Tenenbaums have featured a type of shot composition called "planimetric staging" which involves placing the camera at a 90 degree angle with the subject of the shot. This type of shot is one of the main reasons Anderson's films are said to have a unique visual style. Other directors who have used this technique include Buster Keaton, Jean-Luc Godard, Stanley Kubrick, and Yasujiro Ozu, although almost none have used at as frequently as Anderson has (almost every shot). 3 Six of his films, Bottle Rocket (1996), Rushmore (1998), The Royal Tenenbaums (2001), The Life Aquatic with Steve Zissou (2004), The Darjeeling Limited (2007) and Fantastic Mr. Fox (2009) are in the Criterion Collection. 4 His father is of Swedish and Norwegian descent, and his mother has English, Scots-Irish, and German ancestry. 5 Many of his cast members have connections to The Godfather (1972). His first film, Bottle Rocket (1994), featured James Caan. Rushmore (1998) starred Jason Schwartzman, son of Talia Shire, and he has become a regular in Anderson's films. That film also featured numerous Godfather references. Roman Coppola, son of director Francis Ford Coppola and cousin to Schwartzman, has also co-written several of his films. 6 Has an Italian song about him called "Wes Anderson" by I Cani. The music video is a tribute to the director and his movies. 7 Rosemary's Baby (1968) is his favorite film. 8 Wrote The Darjeeling Limited (2007) and Moonrise Kingdom (2012) with Roman Coppola. Coppola's cousin Jason Schwartzman co-wrote the former film, and appeared in both, as well as in Rushmore (1998). 9 Wrote Bottle Rocket (1996), Rushmore (1998) and The Royal Tenenbaums (2001) with Owen Wilson, whose brother, Luke Wilson, appears in all three movies. 10 While shooting The Life Aquatic with Steve Zissou (2004) the once pasty and bookish Anderson got a tan, grew his hair long, and got into better shape. His frequent star, Anjelica Huston, noted that Wes had suddenly become handsome. 11 Martin Scorsese is a big fan of his movies, even choosing him as the next Martin Scorsese in an Esquire magazine article. 12 Some of the character names in his movies, most notably in Rushmore (1998), were actually the names of his St. John's classmates. Fantastic Mr. Fox 2009 writer: "Petey's Song"